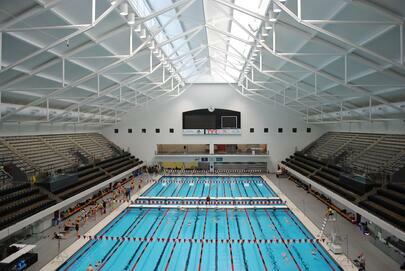 Access to the IU Natatorium pool is now part of your NIFS membership! NIFS is excited to announce that access to the IU Natatorium pool is now part of your NIFS membership! Eligible NIFS members now have free and unlimited access to the lap swim pool*. Stop by the NIFS service desk to obtain a Natatorium Card, present that over at the Natatorium front desk and they will get you registered. If you have any questions please ask a membership representative or a NIFS staff member. Access to the Aqua fitness classes are not included. *All IUPUI faculty/staff and students: The IUPUI Campus Recreation membership gives access to all Campus Recreational swimming including lap swimming at the NAT. You will need to use the Campus Recreation membership to access the NAT. This NIFS arrangement does not supersede that membership. If you have any further questions please contact the NIFS front service desk at 317-274-3432.